: Perfect happiness; great joy. What began as a part-time effort in helping expatriate families settle into a culture not their own, while helping local women find jobs simultaneously, grew into the establishment of the Bliss Mae Baan Network. Bliss Mae Baan Network has been training and connecting housekeepers, locally known as mae baans, with expatriate families living in Chiang Mai, Thailand over the past three years, fulfilling its vision of “creating stories of joy”– more than 300 times to be exact. To date, Bliss Mae Baan Network has trained over 300 women in Chiang Mai on house keeping job skills, specific to the local expatriate employer market. As a result, more than 250 local women have gained new employment opportunities that provide fair wages and valued work for both them and their employer. 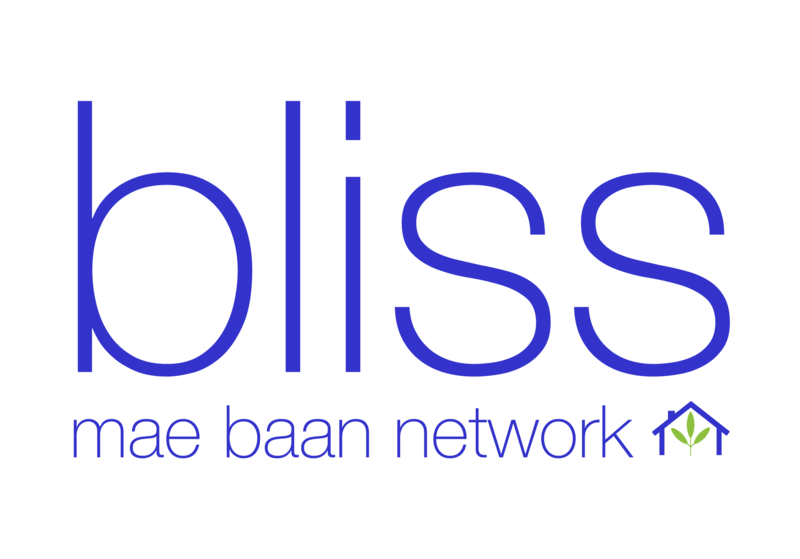 Bliss Mae Baan Network continues to provide assistance in connecting local employers with housekeepers, as well as staffing their sister-business partner: Bliss Clean + Care Company , which offers a line of professional housekeeping and home maintenance services in Chiang Mai. Today, Bliss Mae Baan Network continues to operate as a non-profit project under the GEI Thailand Foundation and all proceeds go towards continued job skill training and employment creation opportunities. Bliss Mae Baan Network exists as a network for Thai women offering skill training and support in their work, growing joy and fulfillment in their lives. Creating stories of Joy of women aspiring to reach their potential.